Manifolds are equipment which connects two or more valves of a hydraulic system. 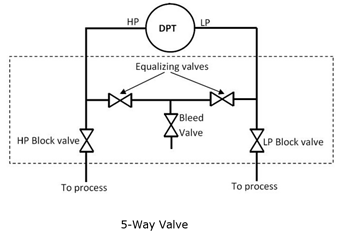 A variety of block/isolate valves can be combined in a single body configuration. Each of these valves has a separate opening below in order to connect a pipe. The main body or valve chamber is common to all. These manifolds commonly include ball, bleed, needle, and vent valves. Their use results in savings in terms of space and installation costs. 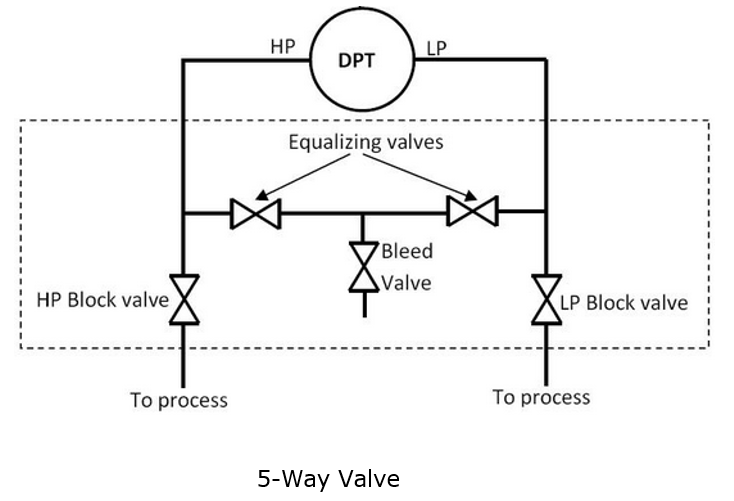 A Manifold Valve (often referred as block and bleed valve) is most commonly used in combination with a Pressure Transmitter or a Pressure Gauge. 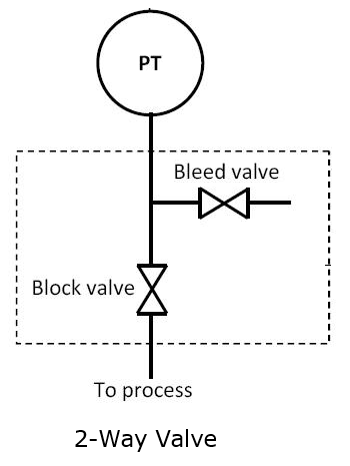 It is basically a valve to block the process fluid from going in to the Transmitter or Gauge. When the blockvalve is closed, we can safely remove the Transmitter or Gauge to replace it or to maintain it. The 2-way Valves are used for the standard (gauge or absolute) Pressure Transmitter or Gauges. 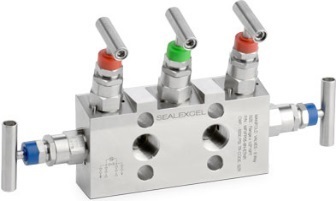 The 5-way Valves are used for the delta Pressure Transmitters.